Does this look like “Planet of the Apes”? 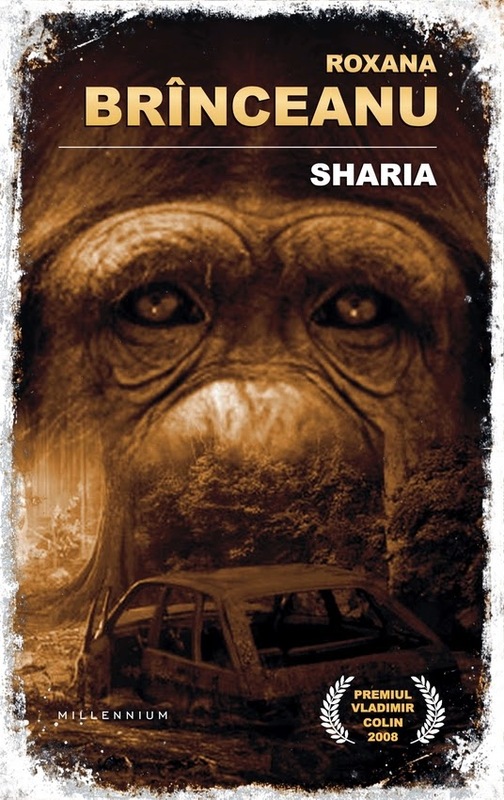 Based on the cover and the synopsis it certainly does, but Roxana Brînceanu’s “Sharia” has nothing to do with the notorious novel and movies. Perhaps they are a source of inspiration, but I am not willing to bet on that since I have no way of knowing that without making a wild guess. “Sharia” is Roxana Brînceanu’s debut novel, catalogued at the time of its first publishing, in 2005, as a high-tech urban fantasy. In 2008 “Sharia” was awarded with the Vladimir Colin Award, one of the very few awards recognizing the speculative fiction in Romania, and although this might not say much considering the amount of controversies and debates such prizes gather around them here, apparently more than anywhere else, it is still an interesting achievement for Roxana Brînceanu’s novel. This year Millennium Books releases a reprinted edition of the novel and since I’ve missed the first edition published in 2005 now I have a good chance to see if “Sharia” is as good as it appears to be at a first glance. Not only that the synopsis sounds very appealing, but Roxana Brînceanu’s “Sharia” is backed by strong recommendations, seeing it printed again by Millennium Books, one of the best promoters of Romanian speculative fiction, is a form of guarantee on itself, while a favorable critique from Michael Haulică is always something that cannot be easily ignored. Top all these with a catchy cover, replacing the unimpressive, bland one of the first edition, and the fact that seeing a Romanian speculative fiction writer being published, even in reprint, is a very welcomed sight these days and you’ll see why I am so thrilled by the re-release of Roxana Brînceanu’s “Sharia”. 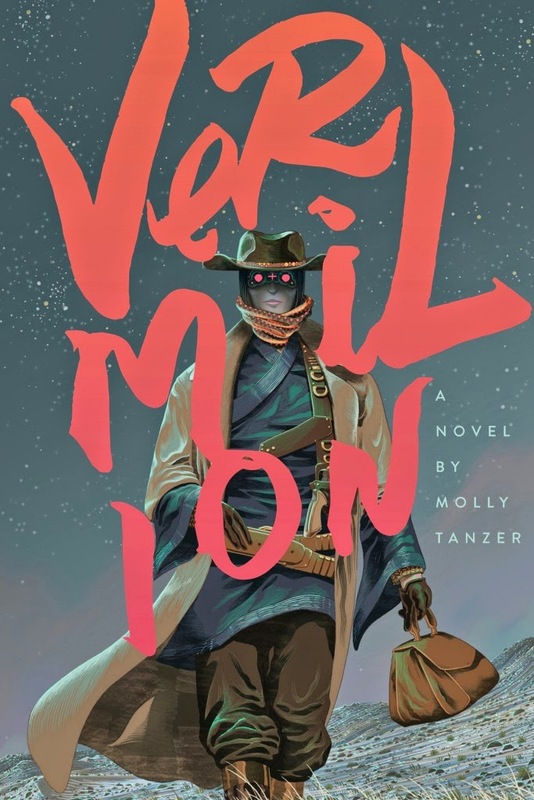 And with the risk of repeating myself on a loop I am keeping my fingers crossed for this novel, as well as others, to be translated into English someday. The citizenship is awarded based on the IQ and families can be formed by humans, chimpanzees and dolphins. The gorillas might accuse you of racism, but you could escape by taking a new identity, changing your identification chip with someone else’s. Returning to nature is a dissident act and the rock groups are made by dogs and humans. Welcome to SHARIA, Roxana Brînceanu’s fantastical world! “Bloodsounder’s Arc” trilogy started good, with a solid entry in form of “Scourge of the Betrayer”, and continued in the best possible way with “Veil of the Deserters”. With already two very good novels Jeff Salyards’ trilogy has become one of my favorite fantasy series and made “Chains of the Heretic”, the final volume of “Bloodsounder’s Arc”, one of my most anticipated future readings. Although I still have to wait until February 2016 to see how the desperate run of the characters ends, they escaped Sunwrack in quite a hurry at the end of “Veil of the Deserters”, and if the answer for breaking the dreadful connection between Captain Braylar Killcoin and his cursed flail Bloodsounder can be found beyond the Godveil. I have no problem with waiting until February next year, I don’t feel ready to part ways with Braylar Killcoin, Arki, Hewspear, Vendurro and Mulldoos, especially since in a recent interview published at Grimdark Alliance Jeff Salyards says that “Chains of the Heretic” will end the story of these characters. They might still have a cameo appearance in Jeff Salyards’ future novels, as he says in the same interview, but they will not take central stage again beyond the “Bloodsounder’s Arc” trilogy. 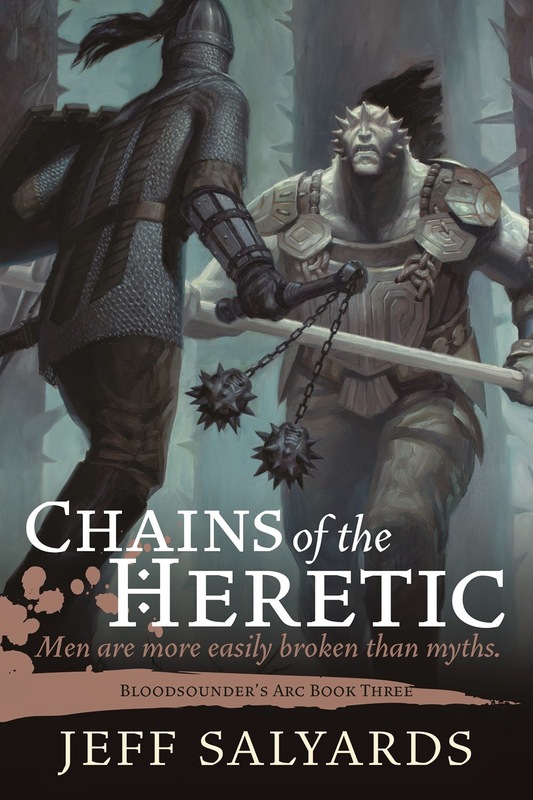 There is no synopsis for “Chains of the Heretic” yet, but we can admire the cover. One that I like quite a bit, the fighting scene promises plenty of action while the creature Braylar Killcoin, holding his Bloodsounder, faces hints at something in the line of what Jeff Salyards did excellently with the ripper in “Veil of the Deserters”. I am convinced that “Chains of the Heretic” will consolidate the position of Jeff Salyards’ “Bloodsounder’s Arc” trilogy among my favorite fantasy series. I made the mistake of reading the excerpt from K.J. 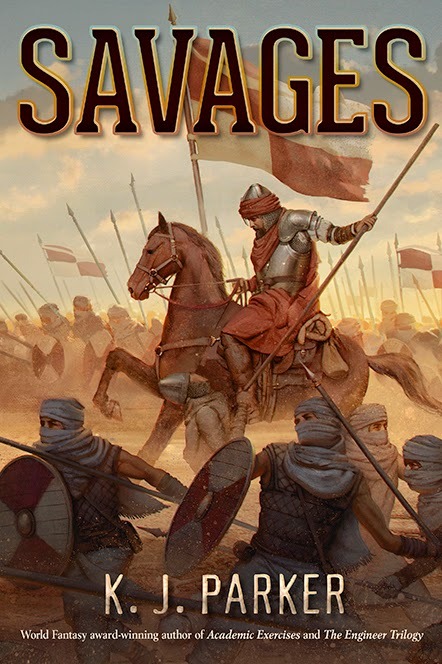 Parker’s upcoming novel, “Savages”, posted on Subterranean Press’ website. There is nothing wrong with it, but if I wasn’t already eagerly waiting K.J. Parker’s novel now I can barely keep in check my desire to read “Savages”. This little excerpt is merciless, in heightening my anticipation and also in the scene unfolding in it. It is just a very small sample but I already am intrigued by the main character of this excerpt, one that bares the unmistakable, masterful mark of K.J. Parker, and I have a monstrous curiosity to see what happens with him next and how the event transforms him. Unless I am presuming the outcome wrong and he doesn’t survive this scene. 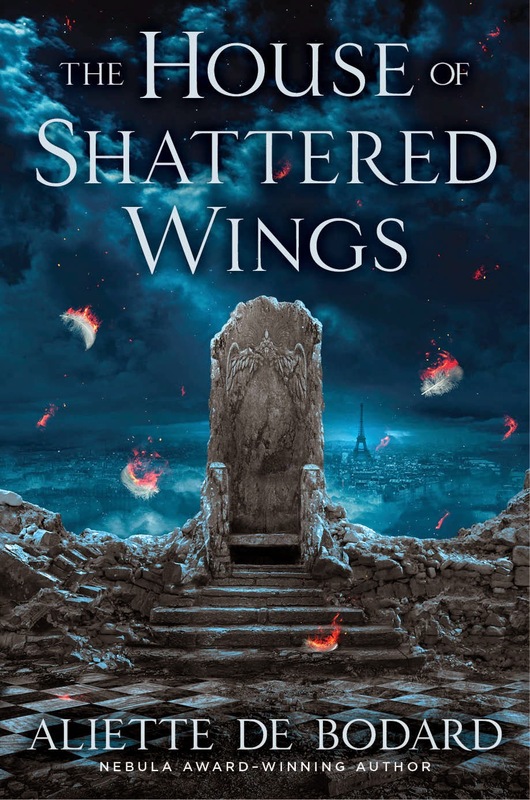 I’ve talked a couple of times about Aliette de Bodard’s new novel coming this year, “The House of Shattered Wings”, and my eagerness to read it. My excitement grows further with the recently released cover artwork for the US edition of “The House of Shattered Wings”. Roc Books, the imprint of Penguin Group, publishing the US edition, chose the Spanish artist Nekro, who previously created covers, among others, for David Barnett’s US editions of “Gideon Smith and the Mechanical Girl” and “Gideon Smith and the Brass Dragon”, E.D. deBirmingham’s “Siege Perilous” (the fifth book in the Mongoliad Cycle) or Kendare Blake’s “Anna Dressed in Blood”, for the cover of Aliette de Bodard’s novel. And the end result is excellent, a great match for the details of the novel surfaced so far. Although the sense of a post-apocalyptic setting is not in the face, Paris seen in the background doesn’t look exactly like a city in ruins, the feeling of destruction is felt through the crumbled walls and ruined floor presented to the fore, by the burning feathers falling to the ground and the gloomy and oppressive clouds covering the sky. The crumbling wall, the falling, burning feathers and the wrecked throne with the carved angel (I love a lot this detail) hit other aspects of the synopsis, these elements can find an easy connection with the downfall of one of the Great Houses of the story and with two of the characters, a fallen angel and an alchemist with a self-destructive addiction, mentioned in the novel presentation. I believe that Nekro’s cover gives an excellent face to Aliette de Bodard’s “The House of Shattered Wings”. 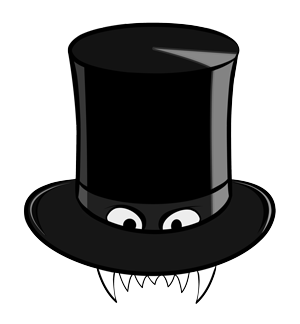 Robert Jackson Bennett, after publishing four standalone books, “Mr. Shivers”, “The Company Man”, “The Troupe” and “American Elsewhere”, writes for the first time a series of novels, following this year his excellent “City of Stairs” with another, “City of Blades”. 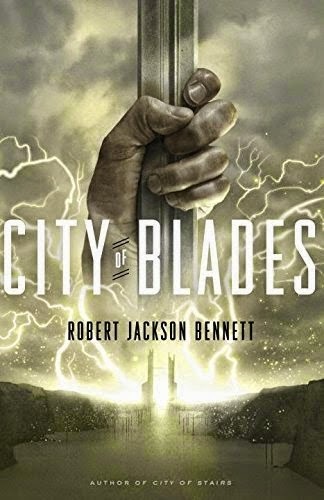 Actually, the UK edition of Robert Jackson Bennett’s “City of Blades” is scheduled to be released this year, on 6th August through Jo Fletcher Books, the US edition published by Broadway Books, with the cover seen above, has the release date of 26th January 2016. Nonetheless, by the looks of the synopsis “City of Blades” seems to be as awesome as “City of Stairs” is. The city of Voortyashtan was once the home of the goddess of death, war and destruction, but now it's little more than a ruin. General Turyin Mulaghesh is called out of retirement and sent to this hellish place to find a Saypuri secret agent who's gone AWOL in the middle of a mission. One of the great joys of this digitized era is the easy access I have to the multitude of excellent works done by so many talented artists, plenty of them at the top of their game. I have a very large list of favorites and you’ll certainly find Joey Hi-Fi included there. I love Joey Hi-Fi’s works a lot and I have a great admiration for his original take on art, especially when I see it on book covers. It’s not easy to match Joey Hi-Fi’s book covers, not for the lack of other very talented artists, but because of its unique approach. This task can be attempted, but the results are dependent on various factors, including a comparison with what Joey Hi-Fi previously did. 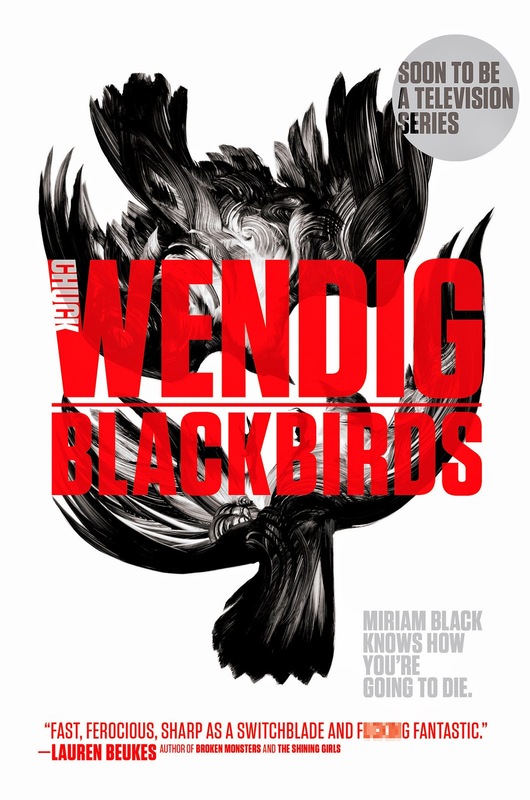 Well, Saga Press had confidence in tackling the matter, the imprint will release this year new editions of Chuck Wendig’s Miriam Black novels, “Blackbirds”, “Mockingbird” and “The Cormorant”, all with new covers. 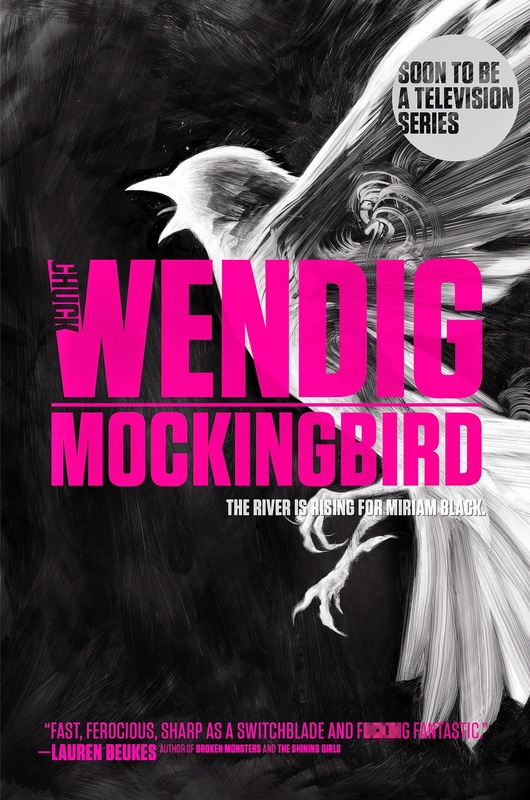 Now, Joey Hi-Fi’s covers done for the editions of Chuck Wendig’s novels published by Angry Robot Books are top notch. They were an instant hit for me, the initial impact of the larger picture leading me straight to digging for all the little details encompassed within worked to perfection in my case. Saga Press went for a different approach and although I’ll always have Joey Hi-Fi’s covers in mind the end result is excellent. Going in a different direction was a good initiative, like I said, matching Joey Hi-Fi’s artwork could only lead to an inevitable comparison and I am not sure how advantageous that can be. So, Saga Press commissioned Adam S. Doyle for the new covers and they hit the jackpot. There are no smaller details this time, only one impacting image with a very interesting style. Adam S. Doyle’s artworks are very attractive, the contrast between the colors (or non-colors depending on how one wishes to address the issue) of the background and the painting has the desired effect and the art pieces make me think of charcoal drawings, which is an amazing technique when it’s done right. The only complaint I have is about the lettering, from its positioning more exactly. I find those to be too big and covering too much of the artwork, fracturing it as a whole. I would have liked it more if the lettering didn’t interfere as much with the artwork. 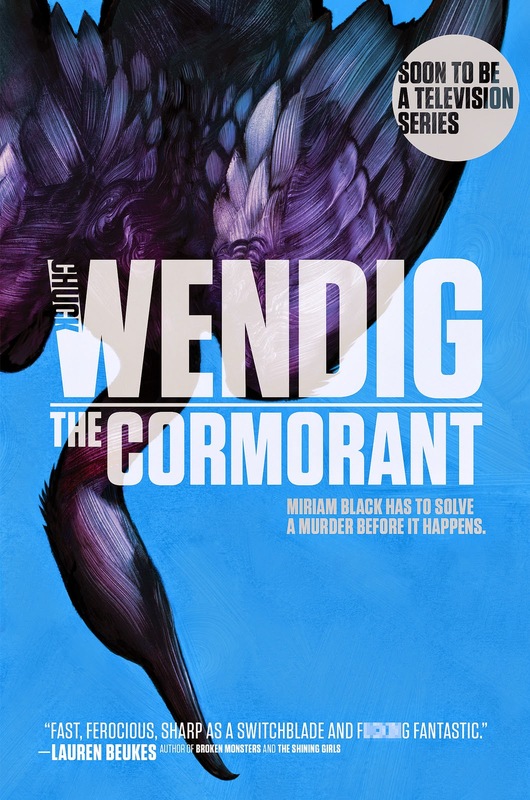 In the end Chuck Wendig is now the proud owner of not one, but two excellent series of covers for his Miriam Black books and we, as readers and art lovers, have nothing but to gain from this. Of course, in my case I’ll have more to gain if I actually manage to catch up with the novels as well, but I’ll certainly do my best to achieve that. Following the recently released anthology of Spanish steampunk, “The Best of Spanish Steampunk” edited and translated by Marian and James Womack, another collection of Spanish speculative fiction is preparing to hit the market. International speculative fiction began to make a serious push towards the wider English market and “Castles in Spain” is another title taking a step into this direction. Spain has some very talented and excellent genre writers and nowadays they have an excellent opportunity to gather more awareness for their works. “Terra Nova: An Anthology of Contemporary Science Fiction” and “The Best of Spanish Steampunk” opened the road and the upcoming “Castles in Spain” follows close by. Started as a crowdfunding campaign for this bilingual anthology “Castles in Spain/Castillos en el aire” is already a sure thing. Although, with four days left on this campaign, it still needs a little over 200 USD for its successful funding Mariano Villarreal and Sue Burke, the people behind this wonderful project, managed to acquire additional financing and they have enough at the moment to publish seven stories within the collection. Of course, “Castles in Spain” works hard to fund the publication of further three stories and we have a list of the ten stories that Mariano Villarreal and Sue Burke try to translate and publish. It is a bit unclear from the crowdfunding page of this project which of the ten stories listed would be published in case that only seven of them will fit the funded stretch goals, but I am keeping my fingers crossed to see all them in “Castles in Spain”. After all, the list of authors is truly impressive, all of them with exceptional writing careers to prove that. Wherever “Castles in Spain” will include seven or ten short stories, or something in between, the anthology is scheduled to be released on December, while in 2016 Mariano Villarreal and Sue Burke hope to bring us two more similar collections. Again, I am keeping my fingers crossed for all these projects and I am keeping my hopes high that we would also see in the immediate future other anthologies and novels from Spain translated and published into English. And not only from Spain. Two years ago I’ve attended in Bucharest a Romanian book fair, Final Frontier, dedicated to Science Fiction and Fantasy. Although it covered a rather very small niche within the Romanian literature market I was left feeling very optimistic about the local speculative fiction, although Final Frontier was a convention of a miniature scale its cozy and friendly atmosphere, together with a couple of interesting events, expanded this genre book fair beyond its diminutive appearance. Unfortunately, with the 2014 edition suspended my general good feelings died soon after, only to be resurrected again these days when Final Frontier prepares to open the doors of its 4th edition. Between 28th and 29th of March Final Frontier gathers the local genre community for book launches, autograph sessions, debates, panels, writing workshops and contests. Almost all the specialized publishers are present this year and I am happy to note the birth of another such press, a very rare beast these days in Romania, Crux Publishing. 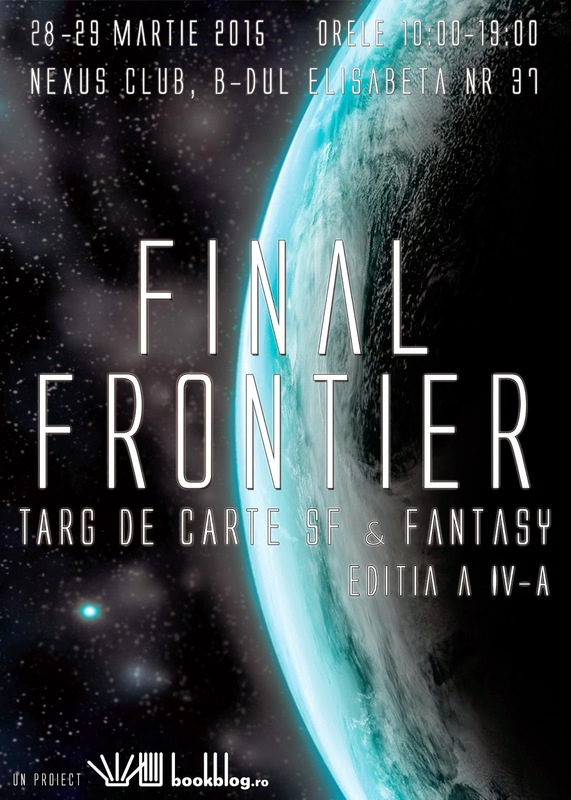 At this edition of Final Frontier Paladin Publishing launches China Miéville’s “Embassytown” and William Gibson’s novels, “Neuromancer”, “Count Zero” and “Mona Lisa Overdrive”, Tritonic Publishing launches Liviu Surugiu’s “Atavic” (Atavic) and “Love and Death Forever” (Iubire şi moarte pentru totdeauna), Lucina Dragoş Bogdan’s “The Wizard from the Inside Cloud” (Vraciul de pe norul interior), Eugen Lenghel's “9 Reused Histories” (9 Istorii reutilizate) and “Countdown” (Numărătoare inversă) and Mircea Naidin’s non-fiction volume, “The Birth of Science Fiction Literature” (Naşterea literaturii Science Fiction), Millennium Books launches Roxana Brînceanu’s “Sharia” (Sharia) and the 6th issue of Galileo Magazine, the newly founded Crux Publishing launches Oliviu Crâznic’s “The Phantoms’ Hour” (Ceasul fantasmelor), Şerban Andrei Mazilu’s “The Season of Daggers” (Anotimpul pumnalelor) and Dan Rădoiu’s “Stories From the Edge of Reality” (Povestiri de la marginea realităţii), while Nemira Publishing inflicts a facelift to its speculative fiction collection (it was about time, in my opinion, since they had some awful book covers until now). The panels feature talks about the state of the Romanian speculative fiction in 2014, Romcon 2015 (The Romanian Science Fiction Convention), 6 years of SRSFF (The Romanian Society of Science Fiction & Fantasy) and the Science & Fiction Festival 2015 due to take place in Rîşnov. Other events include public interviews with Oliviu Crâznic, moderated by Michael Haulică, and Sebastian A. Corn, moderated by Cătălin Badea-Gheracostea, a session of the Wolf’s Pack Literary Circle, comics and speculative writing workshops and a fan fiction writing contest. I plan to attend Final Frontier, but there is nothing certain at the moment. Still, I believe this edition would leave as optimistic as the previous one did, even watching it from the distance of my home. 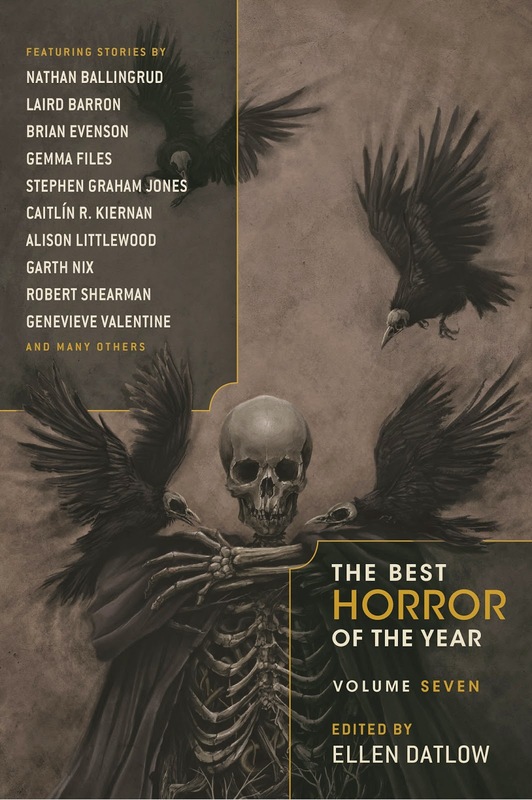 For the past several years one of my highlights of each reading calendar is Ellen Datlow’s series of anthologies, “The Best Horror of the Year”. 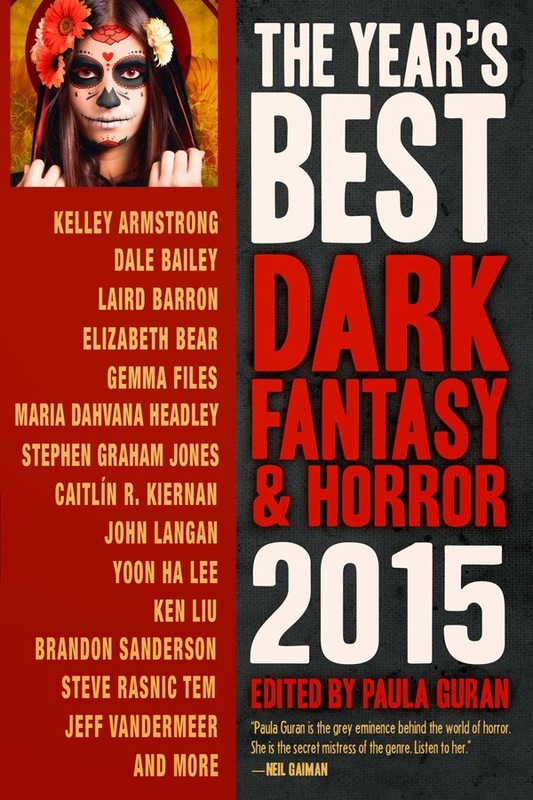 Each year, since 2009, “The Best Horror of the Year” not only rewarded me with some excellent short stories, but it also offered me the possibility to discover plenty of others through the list of honorable mentions published by Ellen Datlow in every volume. This year “The Best Horror of the Year” sees the publication of its 7th volume and yet again Ellen Datlow’s anthology comes with a very interesting list of short stories and a catchy, suggestive cover artwork. For over three decades, Ellen Datlow has been at the center of horror. Bringing you the most frightening and terrifying stories, Datlow always has her finger on the pulse of what horror readers crave. Now, with the seventh volume of this series, Datlow is back again to bring you the stories that will keep you up at night. With each passing year, science, technology, and the march of time shine light into the craggy corners of the universe, making the fears of an earlier generation seem quaint. But this “light” creates its own shadows. The Best Horror of the Year chronicles these shifting shadows. It is a catalog of terror, fear, and unpleasantness, as articulated by today’s most challenging and exciting writers. Carus is only fifteen but since their mum disappeared, looking after her little sister Mitch is her job. There’s nobody else. Not in their house and not outside, either. 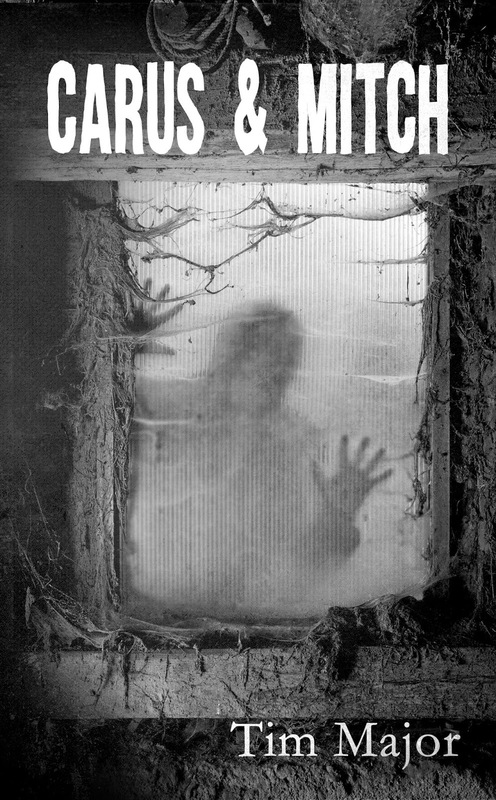 There’s something out there, scratching and scraping at the windows. It is said that humans are creatures of habits and I am certain that I have some of my own. I believe I even started to develop another one and that is to fit, as much as possible, more titles released by Omnium Gatherum Books within my readings. The first few ventures I took in their publishing work have been satisfactory. Actually, that is an understatement since the rewards coming out of Omnium Gatherum’s titles I read have been more than just satisfactory. As it proved to be the case with their latest book falling into my hands, Tim Major’s novella, “Carus and Mitch”. Carus and Mitch are two sisters living alone in a big house, isolated from the outside. Only their home is reduced to only a few rooms and a small yard, with the rest of the house boarded up. Each day they attend their chores, among them exchanging the eggs from the chickens living in their dining room for canned food and checking the barricades raised against the outside world. But things are about to change for Carus and Mitch. I find myself in a tricky situation, facing an unusual difficult task. I would very much like to talk to some extent about “Carus and Mitch”, but at the same time I am afraid to do so. It is not for the lack of words, but out of the fear of not revealing too much from Tim Major’s novella. Because the beauty and the entire satisfaction of this story is going through it page by page, the plot unfolding with every single word that paves the road to the final destination of “Carus and Mitch”. But I’ll certainly do my best. Tim Major’s novella starts with an emotional moment, a touching surprise Carus receives for her fifteenth birthday from her younger sister, Mitch. Not only it is the opening scene of the story, but it is also the foundation of the relationship the lone sisters have. It’s a connection that doesn’t lie exclusively on the petals of roses, but on the spins of the stems as well, involving moments of conflict and discordance that siblings often share. The entire connection between Carus and Mitch, with its rises and downfalls, is rendered with sterling realism by Tim Major. There is not a single moment when this family of two members losses its face. The moments of pure love, the little habits one has but the other finds annoying, the innocent teasing and needless mean acts between family members are all there. Likewise, this initial scene is the point from where the story starts to descend into dark corners. The delicate moment of one sister surprising the other for her birthday leads to dark and darker still events, sending the plot to an end where this gentleness remains only a very distant memory. It could be said that “Carus and Mitch” is a post-apocalyptic story, but I am reluctant to assume this definition and I’ll explain why shortly. There is a constant feeling of an outside menace throughout the novella, the girls are isolated from the outside world in fear of a threat not named. It is a constant sensation and Tim Major enhances this particular atmosphere through his characters. Living constantly with each other, without any apparent means for escape or without seeing anyone else, strains the relationship between the two sisters and builds tension. The daily, repetitive chores Carus and Mitch need to attend add further pressure, accentuated by the limited space in which they live. Limited on their own accord. In this restricted living area Carus and Mitch have a little library though and it is from the books and magazines found there that the seeds of questions start to grow inside Mitch’s mind, where a fertile ground for such a thing already existed. All these whys are not tethered only to the two characters however, they spread to the reader too. More than several times I started to ask questions for the story and not a single time I received an answer. At the first consideration this statement might sound bad, but it is not, all the unanswered questions the reader has work in favor of the story. 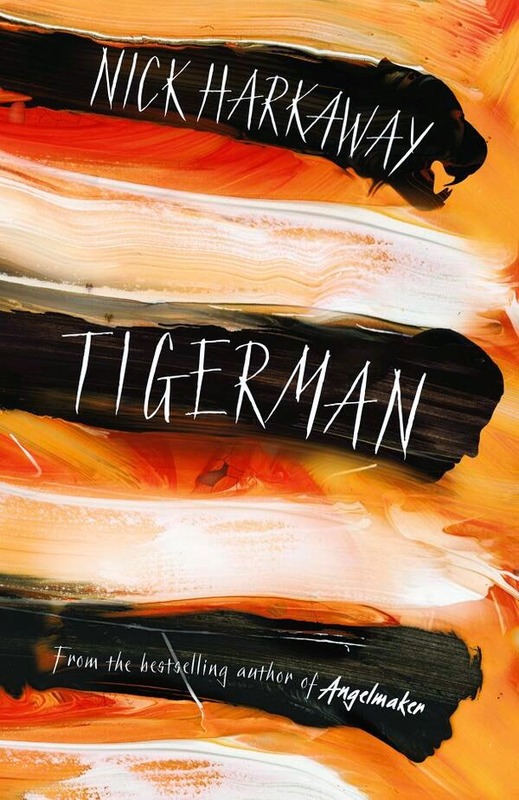 Tim Major’s novella is solid and compact and all that it lets hanging up in the air is an important part of its composition. Even my assuming that “Carus and Mitch” is a post-apocalyptic story is up to debate in this light. It might be, but very well it might entirely something else. Every little question one could come up with for this tale is up for personal interpretation. It is part of the magic of this wonderful novella and I am certain part of the profit that could be gained from re-reading it. Habits are not always good, but I am not about to change my newly acquired one of checking as many titles Omnium Gatherum publishes as possible. If Tim Major’s “Carus and Mitch” is anything to go by I embrace this habit with opened arms. And if Tim Major’s future works are as good as his debut novella, “Carus and Mitch”, I am perfectly happy to also acquire the habit of following closely his writing career. Yesterday, at London, the Kitschies have announced the winners of the 2014 Kitschies Awards. In the small town of Ealing, Iowa, Austin and his best friend Robby have accidentally unleashed an unstoppable army. An army of horny, hungry, six-foot-tall praying mantises that only want to do two things. This is the truth. This is history. It's the end of the world. And nobody knows anything about it. 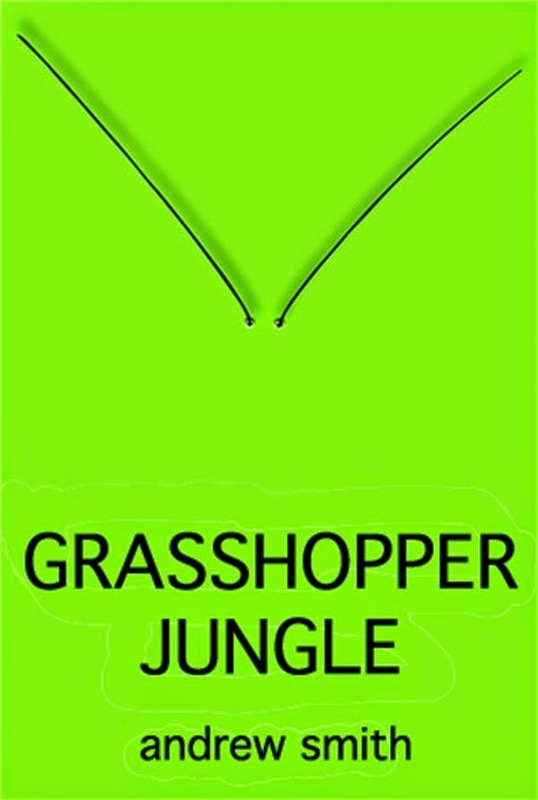 Funny, intense, complex and brave, Grasshopper Jungle is a groundbreaking, genre-bending, coming-of-age stunner. At Whitehall Palace in 1632, the ladies at the court of Charles I are beginning to look suspiciously alike. Plump cheeks, dilated pupils, and a heightened sense of pleasure are the first signs that they have been drinking a potent new beauty tonic, Viper Wine, distilled and discreetly dispensed by the physician Lancelot Choice. Famed beauty Venetia Stanley is so extravagantly dazzling she has inspired Ben Jonson to poetry and Van Dyck to painting, provoking adoration and emulation from the masses. But now she is married and her “mid-climacteric” approaches, all that adoration has curdled to scrutiny, and she fears her powers are waning. Her devoted husband, Sir Kenelm Digby – alchemist, explorer, philosopher, courtier, and time-traveller – believes he has the means to cure wounds from a distance, but he so loves his wife that he will not make her a beauty tonic, convinced she has no need of it. From the whispering court at Whitehall, to the charlatan physicians of Eastcheap, here is a marriage in crisis, and a country on the brink of civil war. The novel takes us backstage at a glittering Inigo Jones court masque, inside a dour Puritan community, and into the Countess of Arundel's snail closet. We see a lost Rubens altarpiece and peer into Venetia’s black-wet obsidian scrying mirror. 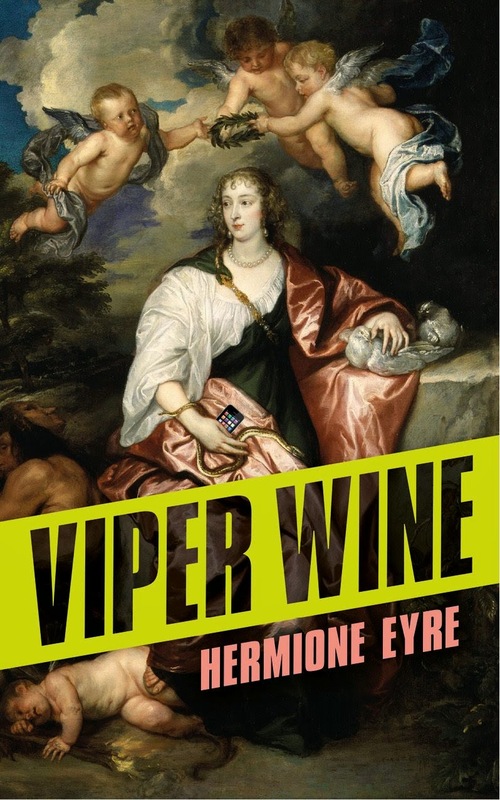 Based on real events, Viper Wine is 1632 rendered in Pop Art prose; a place to find alchemy, David Bowie, recipes for seventeenth-century beauty potions, a Borgesian unfinished library and a submarine that sails beneath the Thames. The game is developed by Cardboard Computer (Jake Elliott and Tamas Kemenczy). The game's soundtrack features an original electronic score by Ben Babbitt along with a suite of old hymns & bluegrass standards recorded by The Bedquilt Ramblers. The British horror legacy is in very good hands, the nowadays genre thriving with new life and brimming with talents such as Alison Littlewood, Sarah Pinborough, Carole Johnstone, Gary McMahon, Adam Nevill, Tim Lebbon, Conrad Williams or Stephen Bacon. And these are just the ones I count among my favorites, but for certain the list of excellent writers contributing to the new era of British horror is larger and includes many I haven’t had the pleasure to discover yet. Since 2014 there is another tool to help smooth the path toward the writings of this group of authors, “Best British Horror” series of anthologies highlights what the genre has best to offer each year, showcasing the stories and writers making today’s British horror proud. 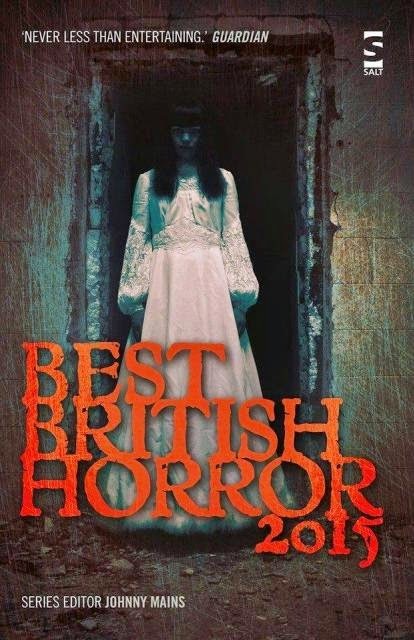 2015 sees the publication of the second installment of “Best British Horror”, edited by Johnny Mains, himself with an important contribution to the British horror editorial work, and yet again with a compelling list of stories. I welcomed with opened heart Salt Publishing’s initiative of starting a yearly collection of the best British horror and the first volume, published in 2014, was everything I imagined it would be and even a bit more. And by the looks of this second collection, due to be released on April, it seems that already “Best British Horror” establishes itself as another standard bearer for this very gifted generation of British writers.